I remember when the idea of meal planning first occurred to me. I was in my 20’s, single and regularly wandering through the supermarket buying things that “looked good” or were “good for me”. I would walk away having spent $80, with only myself to feed. At least half of the food would go slimy or freezer burned before I got around to using it and then I’d do it all over again. OK, so I don’t actually remember what she had written, but you get the idea (except the BBQ beef sandwiches, it really did say that). Right there and then it occurred to me that there was a better way to do this whole grocery shopping thing. I was a full convert right there on the spot. That was about 20 years ago and I just don’t understand how anyone can come up at 4:30pm and not know what they are making for dinner. It would absolutely stress me out. So, I sit down once a week, usually on Sunday afternoons and look through my recipe files, cookbooks and even old calendars to see what we were eating last year at this time, all for inspiration. I map out the week with the calendar open, taking into account days that there are basketball games, cub scouts, etc. I try to have a few easy dinners in my repertoire for days like that. I love to read cookbooks like novels, but I am guilty of not really using them as much as I should. So right now I am focusing on just a few cookbooks and really trying to find the recipes that we love from them. The ones I have chosen for now are The Art of Simple Food by Alice Waters, Feeding the Whole Family by Cynthia Lair, and Simple Summers by the Moosewood Collective. 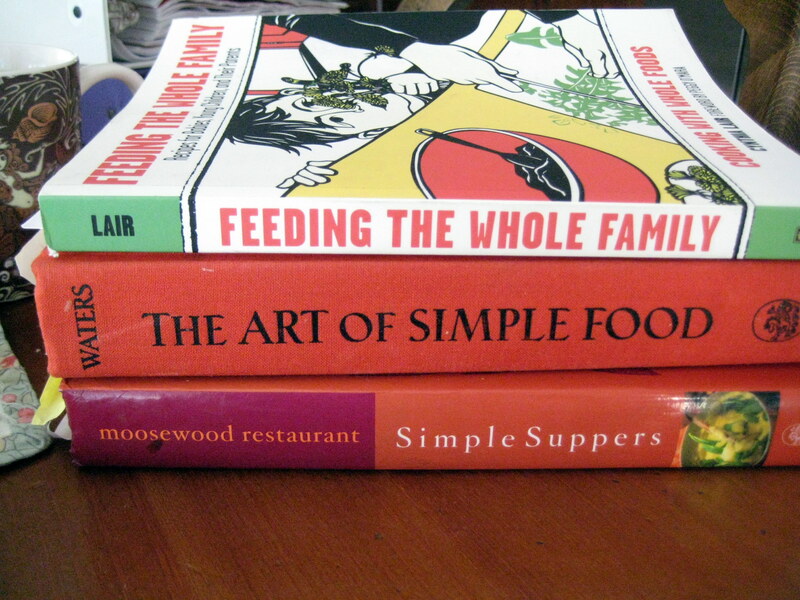 I love all cookbooks by Moosewood; they are the most dog-eared in my kitchen. And how I wish I had had Feeding the Whole Family when my kids were babies! So much useful information on cooking *one* meal for your family. The Art of Simple Food is a bit like going to cooking school- so much great info there as well. By setting aside an hour or so each week to make my menu plan, I have the luxury of flipping through the cookbooks, thinking about what we have in the fridge, or what is coming in our CSA box for the week. It takes the stress out of dinner and makes turning our a dinner each night a little more enjoyable. This is truly such a great idea Kristin. I have been trying to get back into meal planning. We try to eat the same things all the time 😦 My family are not very adventurous when it comes to food, so expecting them to eat something new all the time, will just cause too much stress during our meal times. I also have to keep in mind my daughter’s condition. Her food has to be pureed, so making something that does not have a base to add to the vegetables, is just not going to work. I don’t think I could afford to be a stay at home mum if I didn’t meal plan. 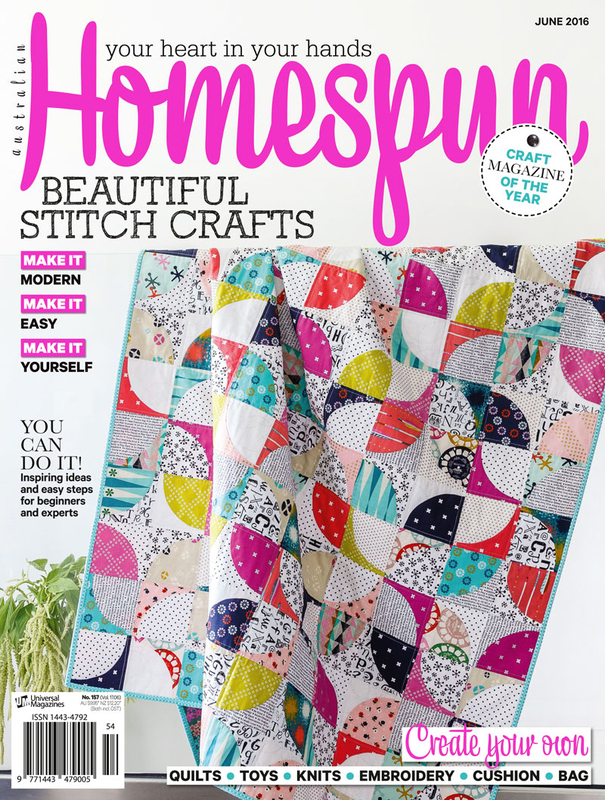 I remember when my husband and I both used to work long hours before we had kids, we would go grocery shopping on our way home from work late at night with no list, just going up and down the aisles putting anything in the trolley that caught our eye. Scary, and expensive! Now, I am a list freak. I even add it up as I go around on a lean week to make sure I can afford it all. Those three cookbooks sound like ones I would really like, I will try to find them here. P.S. Have you started the Beauty That Moves programme yet? If so, how is it going?